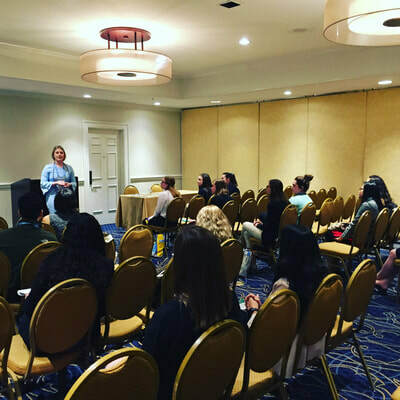 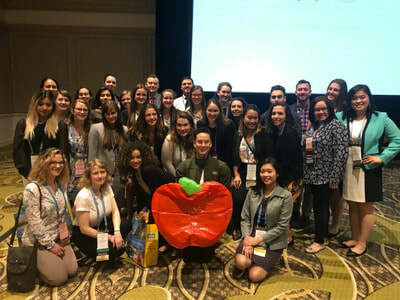 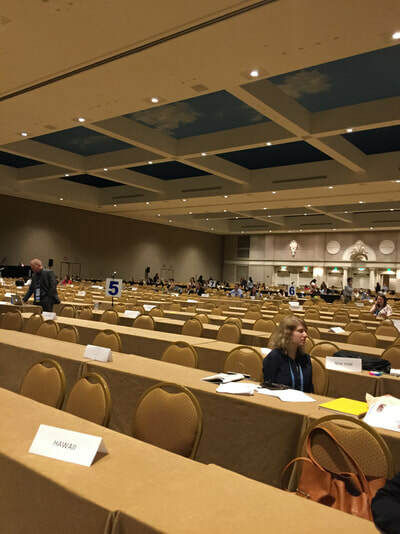 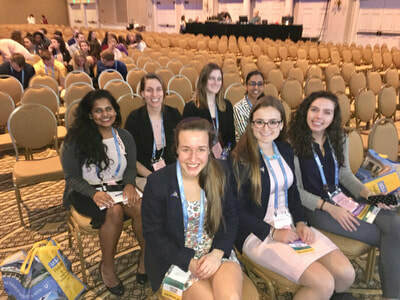 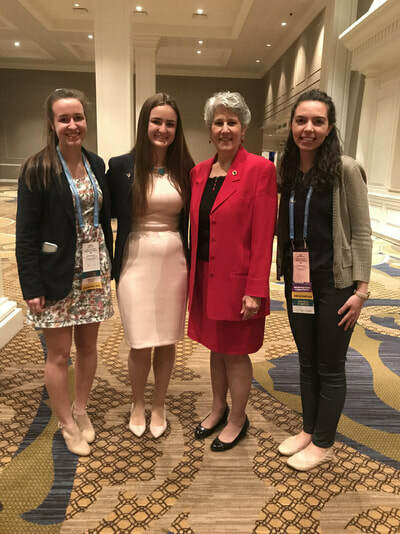 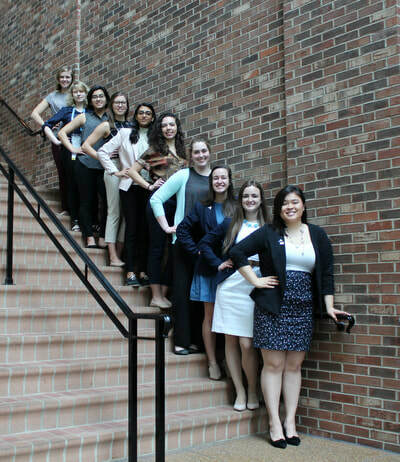 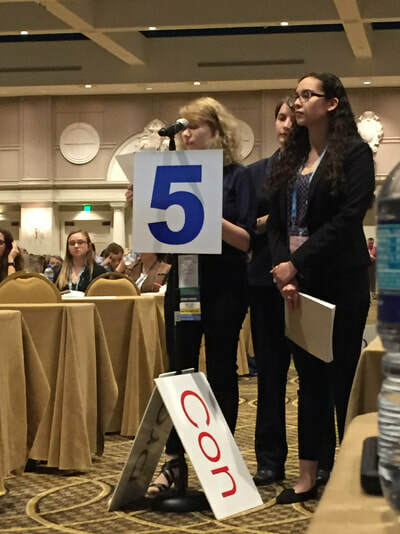 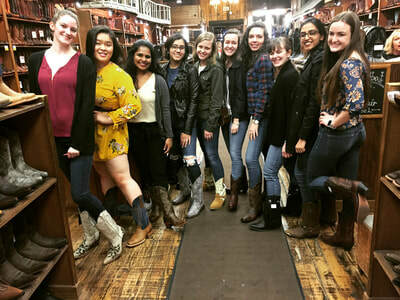 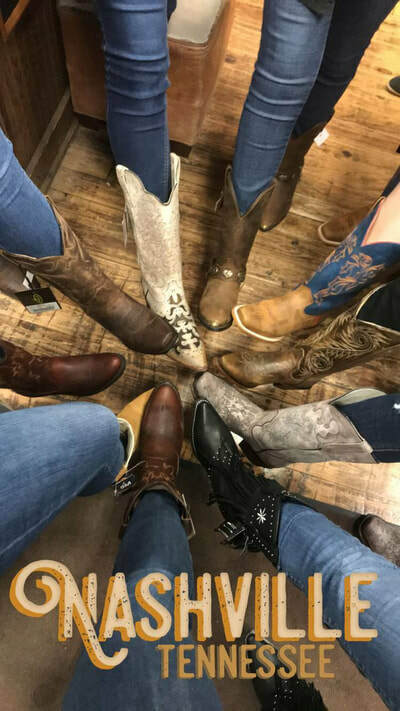 The Nursing Students' Association of New York State (NSANYS) won two awards at the NSNA 66th Annual Convention in Nashville. 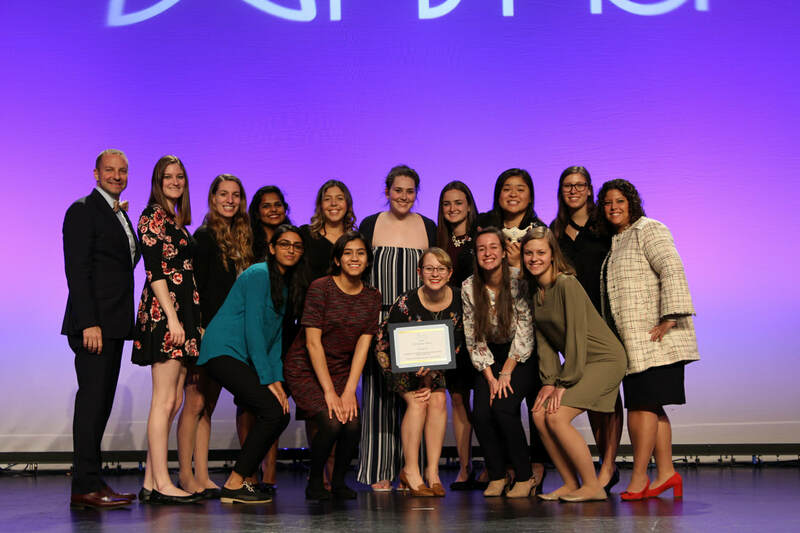 WINNER'S WAY AWARD- Awarded to state associations for an increase of 1,576+ members as of February 7th, 2018. 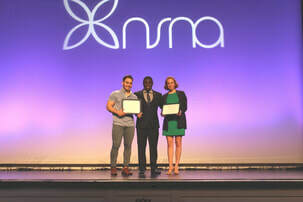 STATE EXCELLENCE AWARD - NY was awarded a beautiful Nightingale Lamp; judgment criteria includes largest percent increase in membership, most population and global health projects entries, most breakthrough to nursing project entries, most health policy and advocacy entries, most image of nursing award entries, most ethics and governance Award entries, most members pre-registered for Convention, highest percent of potential constituents, most financial excellence award entries​. Pictured: 2017-2018 and 2018-2019 NSANYS Board of Directors and Advisors with the 2018 State Excellence and Winner's Way Awards! 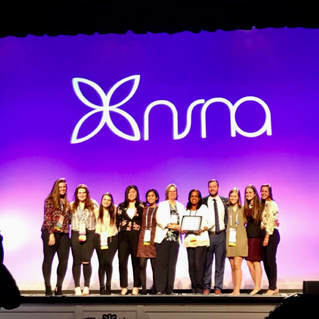 Congratulations to Kimberly Conlon of SUNY Stony Brook University (November 2017) and Helen Pham of Molloy College (March 2018) for receiving the NSNA Breakthrough to Nursing Monthly Awards! 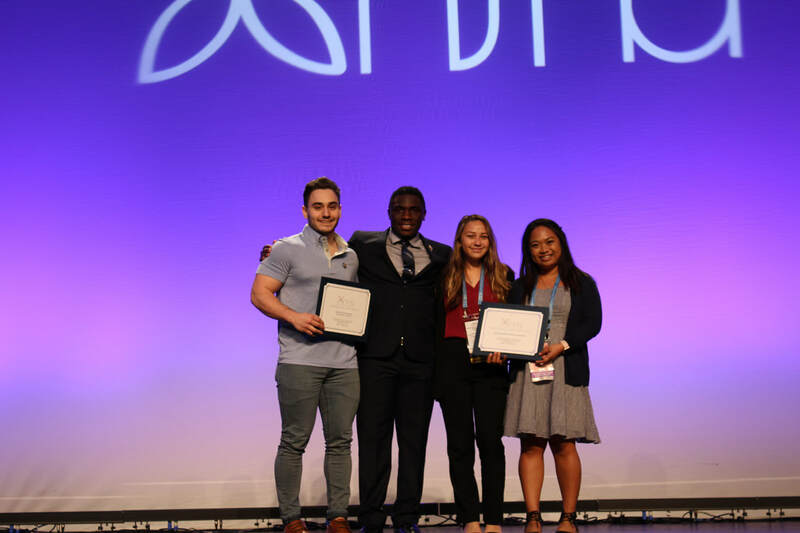 Congratulations to Molloy College for being selected to be the Precious Metal Platinum Winner! 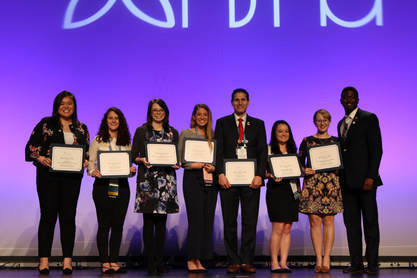 Congratulations to SUNY Stony Brook University for receiving the Newsletter and Website Awards!